Happy Thanksgiving! Looking for something to do while you digest that enormous meal? If so, the first of the interviews I did with Josh Gentry of Snack Reads is up on YouTube. Snack Reads has published two of my shorts stories: the humorous “Hamlet Revisited” and the action adventure “Servant of Death” (co-written with Fred Saberhagen). You can find the interview at http://youtu.be/yJUddPrC0-s. You can find the stories at www.snackreads.com. Another way to work off all the food is to join me and Alan as we bop our way into the history of the last of the Henries… Henry VIII he am! Such is the fate of one of England’s most famous kings in the ears of Americans. ALAN: And the song reverses the actual historical situation. In the song Henry, the singer, explains that he has just married the widow next door. She’s had seven previous husbands, all of whom were called Henry. So he is Henry VIII! JANE: Before we move onto the actual king, I found a cool piece of trivia about the song. I’d always thought it was original to 1965, but it was actually written in 1910 by R.P. Weston and Fred Murray. Nor did it languish in obscurity. It was the signature tune of the music hall star, Henry Champion. ALAN: Absolutely it is! In the early 1950s, in England, there was a radio programme called The Billy Cotton Band Show. 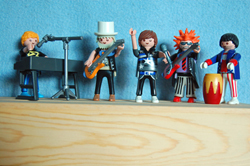 The band used to perform all the old music hall songs (particularly the Cockney ones, for they were themselves Cockneys). That was where I first heard the Henry VIII song. I was somewhat bemused when, a few years later, a Rock and Roll group of the time (Joe Brown and the Bruvvers) recorded it. I’d never thought of it as a rock song. Mind you, Joe Brown was also a Cockney. The later recording by Herman’s Hermits was even more weird because Peter Noone, the lead singer, was a northern lad from Manchester (damn! Another Lancastrian) with no Cockney connections whatsoever. But be that as it may, in real life, of course, it was Henry VIII who married multiple times. And he only had six wives (or, perhaps, four wives since two of his marriages were arguably illegal). JANE: And those marriages, legal and illegal, were the basis for a good part of Henry VIII’s fame – or notoriety. Before we get to that, I’d like to fit this Henry into the puzzle of Henries. He was the son of Henry VII, but wasn’t his father’s original heir, if I remember correctly. That would have been his older brother, Arthur. ALAN: Indeed so – Arthur was the first born son of Henry VII and was the heir to the throne. In order to cement a political alliance with Spain, Henry VII arranged a marriage for Arthur with Catherine of Aragon. Shortly after their marriage both Arthur and Catherine fell ill with a respiratory infection. Catherine recovered from the illness, but Arthur died. Arthur’s death placed Henry under an obligation to return the very large dowry that had been paid and also threatened the Spanish alliance. He solved both these problems by hurriedly betrothing Catherine to his second son (also called Henry), though the marriage did not actually take place until after Henry VII died. Henry VIII succeeded his father and, declaring that the marriage had been his father’s dying wish, married Catherine in June 1509, two months after becoming king. And, by the by, Shakespeare spells it “Katherine.” He is obviously not to be trusted where spelling is concerned. Please, continue the tale and save me from myself. ALAN: For a time all seemed well. But Henry became increasingly annoyed that Catherine could not give him a son. She had several children, including two sons, but except for one daughter, who she called Mary, none of them lived for more than a few hours. JANE: That’s very sad. Even in an age when infant mortality was much higher, the strain had to have been terrible. ALAN: Very much so – and Catherine would have felt it more than most because it was her duty to provide the king with an heir. JANE: Interestingly, this is a similar logic to that which makes Prince Hamlet so horribly upset that his mother has married her husband’s brother. Of course, children weren’t a part of the equation for Claudius and Gertrude, but they would have been very important to Henry VIII and Catherine. Did the pope agree? ALAN: No, the pope wasn’t having any of this and Henry began the process that would eventually separate the Church of England from the Church of Rome. This was the start of the reformation. JANE: Of course, religious reform – or at least bucking the authority of Rome – was in the air all over Europe at this time. Henry was following in a trend that already had supporters in his own nation. How did he work it in his own land? ALAN: Ever since Martin Luther nailed his ninety-five theses to the door of the Castle Church in Wittenberg in 1517, there had been growing dissatisfaction with the power and influence of Rome. There was no doubt that change was coming. The Catholic Church responded viciously, and the delightfully named Diet of Worms declared Luther a heretic and outlaw. Nevertheless, Lutheran ideas continued to spread rapidly and many churches began holding Lutheran services rather than the more traditional Catholic services. Henry was actually a very devout Catholic at the time. He published a spirited defence of Catholicism and Pope Leo X appointed him Defender of the Faith, a title that is still awarded to the monarch today (though Pope Paul III later rescinded it). JANE: All this makes it harder to understand why Henry VIII broke away from Rome – although also more clear as to why Rome wanted a choke chain on Henry. You can’t have a Defender of the Faith who keeps getting divorced. ALAN: It’s difficult to say exactly what caused Henry finally to break with Rome. It was a gradual process. A series of statutes began to redefine the relationship between the King and the Pope with serious penalties up to and including death for accepting papal authority over the authority of the king. These statutes culminated in 1534 with an act that appointed the king to be the supreme head of the Church of England. An Oath of Supremacy was introduced that acknowledged this, and a refusal to take the oath was deemed to be an act of high treason. The separation from Rome was complete. But certainly it all started with the Pope’s refusal to annul Henry’s marriage to Catherine which made Henry question the doctrine of papal infallibility. Once that comes into question, everything else follows logically. JANE: I agree. So what happened after the break? ALAN: Henry appointed Thomas Cranmer, who had Lutheran sympathies, to be Archbishop of Canterbury. Anne and Henry married in a secret ceremony. Anne fell pregnant almost immediately and a second, more public wedding took place. Cranmer declared Henry’s marriage to Catherine null and void and recognised the validity of his marriage to Anne. Catherine was stripped of all her titles and was exiled from the court. Two years later she died (there were rumours that she was poisoned). Henry did not attend her funeral. JANE: So the arrival of the great Protestant Reformation in England and everything that came after was really due to Henry’s mid-life crisis? ALAN: There are probably more sophisticated theological and political arguments that can be brought to bear, but they smack somewhat of casuistry. When you strip it down to its essentials, the Church of England was just a cunning plan that finally allowed Henry to have his wicked way with Anne. JANE: I suspect you are being a bit flippant, but this is often the popular view. Very good. I notice we’ve only gotten through two of Henry’s six (or four) wives. There are still some very interesting developments that happened related to the events of this time – including a failure of special effects and the prominence of a science fiction writer whose works remain influential in the genre to this day. Shall we pick up with these next time? Before I start, cool news. The first of the interviews I did with Josh Gentry of Snack Reads is up on YouTube. Snack Reads has published two of my shorts stories: the humorous “Hamlet Revisited” and the action adventure “Servant of Death” (co-written with Fred Saberhagen). You can find the interview at http://youtu.be/yJUddPrC0-s. You can find the stories at www.snackreads.com. Let me know what you think! And, now, let’s wander into sweet territory. I’ve certainly touched on how I research before, but it has been a while. (“Find Out What You Know” WW 3-07-12; “Facts or Fiction?” WW 6-27-12). In any case, this week I have something pretty neat to talk about that touches on a type of research that has nothing to do with books or on-line sources. It’s my adventures performing The Great Beeswax Experiments. I’m currently writing the sequel to Artemis Awakening. There comes a point where my characters need a material that is flexible, firm, easily molded, and not likely to become brittle or dry out. The level of technology is relatively low, so the synthetic putties and caulks we take for granted aren’t available. Adding to the challenge, my characters are camping out in the wilderness. Visiting a store or shop is not an option. The characters would not have been likely to pack anything like this along. This world has some very odd elements, but magic is not one of them, so conjuring what they need out of thin air isn’t an option. Clay becomes brittle when it dries out. Since flexibility is needed, baking the clay won’t help. Fabric, even packed tightly wouldn’t do the job. Resin (as is naturally extruded by many evergreens) is too sticky. After some consideration, I decided the beeswax might serve my needs. I’d even established earlier that my characters had gathered some honey. Tah-dah! Or maybe not, “tah-dah.” I started wondering how one worked with something so completely and utterly sticky. I consulted my friend Rowan Derrick, whose family keeps bees, and asked her how honey was typically separated from the comb. She gave me a nicely detailed briefing, including mentioning that honeybees produce more than one type of wax. Propolis wax is used as a sort of glue for sealing the hive. It is darker in color and harder than the regular wax. 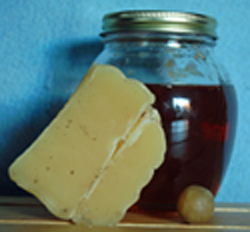 The wax we typically think of as “beeswax” is from the comb proper. The walls of the cells are very light and thin. Rowan explained that there are two ways of separating the wax from the honey. The better method uses draining buckets equipped with a series of sieves. The sieves filter the honey, eliminating “waxy bits,” parts of bees, and leaving the honey more free of pollen. The faster, not-so-good method is to warm the honey slightly so that the honey and wax separate. The wax then floats to the top and hardens as it cools. This, of course, leaves in bee parts and other residue in the wax and honey (depending on what floats and what doesn’t). Well, as I mentioned above, my characters are camping. I didn’t figure they would have brought buckets and sieves with them so, despite the drawbacks, if they were separating the honey from the comb, they’d use the warming method. Rowan very kindly offered to give me some wax that had been heated and molded, but that otherwise wasn’t overly filtered or processed. The piece she brought me was about two and a half inches by two inches by about an inch thick. It was also very, very hard. No problem, thought I. Body heat will warm it. I put the block of wax into a plastic bag and sat on it. I sat on it for a long while. It got warmer, but it didn’t get appreciably softer. I was cooking a very large kettle of soup. I put the block of wax on the metal top of the stove, about a finger’s width from the kettle. When I went back later, I dreaded finding a puddle of wax. What I did not expect was to find the wax was as hard as ever. I spoke about this with Rowan and she commented that the heating process does tend to make the wax harder when it cools. However, wax right from the comb remains soft. The problem is getting rid of the honey. I went off to the grocery store and found a brand of honey sold with a piece of honeycomb inside. I happily purchased it. At home, I fished out the bit of honeycomb and dropped it into a small bowl so any loose honey could run off. I did this several times, getting deliciously sticky in the process. When I felt I had gotten rid of as much honey as possible this way, I considered what to try next. Since the individual cells of the honeycomb are designed to keep out water, just dropping the whole thing in a bowl of water to rinse wouldn’t work. Mashing the lot with a fork, then rinsing might work, but it might also cause the wax to harden, especially if the water was very hot. Eventually, I decided on a very primitive technological separation method. From eating honeycomb, I knew that the temperature of a human mouth is not enough to cause the wax to harden. With the edge of a fork, I cut off a piece of honey comb and stuck it in my mouth. Even with much of the honey drained off, it was very sweet. Gently and patiently, I chewed until I had extracted the honey from the wax and was left with a small wad of wax. I repeated this until I had finished the comb, ending up with a chunk of wax about the size of a marble. I let it cool, then tried working it. Cold, the wax was almost as hard as a rock, but body heat was enough to warm it to a workable texture very quickly. At first the wax was a bit grainy and inclined to break, but eventually (probably as I worked the last of the impurities out), it became flexible and able to be shaped. I then experimented with shaping what I needed. (No. I’m not going to tell you what that was. It could be a major spoiler for a thoughtful reader!) Making what I wanted wasn’t quite as simple as I had envisioned, but after some trial and error I thought I could justify my characters’ actions. Thus endeth the Great Beeswax Experiments. Could I have just made it up? Possibly, but I think care regarding little details makes for a much more real-seeming book. As I’ve said before, when you’re asking your readers to accept the wildly unlikely (like telepathy or faster than light travel), it’s only fair to make sure that other elements are solidly grounded in reality. And I do think it was one of my more tasty bits of research! Before I wander off down the dark paths of villainy, I want to thank those of you who joined me at my signing last weekend at Page One Books. I really enjoyed myself. If you had to miss – or didn’t get quite enough – I hope you’ll join me 7:00 p.m. this Thursday at UNM where I’ll be giving a talk entitled “The Mythic Impulse: Why Fantasy Speaks to Our Souls” followed by a Q&A. It’s in the Honors Center and open to the public. More details are available on my Facebook page and under Appearances on my website. Now for villains… Last week I wandered on about why I don’t enjoy reading a book (or watching a show) in which a major protagonist is a villain. This week, I’d like to talk about how I go about writing villains. A complex, convincing villain can make or break a book. Having that villain’s point of view is also important, especially in a certain type of story. Just because I want to make sure we’re talking about the same thing, let me define a couple of terms, okay? Last week I offered a definition of villain that left out abstractions like “evil” and focused on specific qualities. Villains care more about their own gain than what will happen to anyone else around them. They do serious harm, not to be abstractly “evil,” but because the end result will benefit themselves. They have allies and associates, but rarely friends (because a friend is someone whose benefit or happiness is important). Even when his or her acts may seem virtuous, a villain’s acts ultimately benefit the doer, not those ostensibly done for. An antagonist is somewhat different. If the protagonist is the character who represents the main thrust of the action in the book, the antagonist is the character who opposes those actions. An antagonist may not be nearly as nasty as a villain. He or she (or they) may have many admirable qualities and just be on the “wrong” side. The Comments last week addressed the difference between an antagonist and a villain in some depth, so I’m going to restrain myself from wandering down that path and get to the point several people have asked me since last week: How do you write such great villains? Wow! By that logic, I also eat raw rabbit guts and walk around in public without my clothes on, as my “heroic” (or at least anti-heroic) Firekeeper does. However, this leads nicely to the first trick to writing good villains. Accept that, although various people are going to wonder how you manage to come up with such twisted and ugly material, the characters who perform those acts are not you. You’ll have to accept that some readers are going to wonder just what perversities you practice in your spare time, but letting the dark side out is part of the cost of being a writer. Another element in writing good villains is accepting that they don’t think they are villains. In their version of the story, they’re – if not heroes – simply people with the good sense to do what is necessary to achieve their goals. As Steve (S.M.) Stirling frequently puts it: “No one wakes up in the morning and says ‘I think I’m going to be evil today.’” Even Hitler convinced himself he was doing what he was doing for the greater good. Recently, Jim and I have been re-watching a bunch of classic animated Disney movies. To me, the reason the Lady Tremaine in Cinderella is so much more terrifying than Malificent in Sleeping Beauty is because Lady Tremaine is intelligently malicious when pursuing those actions that serve her goals. (In this case, promoting the welfare of her two daughters over that of her stepdaughter.) Malificent, by contrast, lightly talks of “evil” and uses a minor social slight as an excuse to pursue this nebulous abstract. She may turn into a dragon and have orc-like henchmen, but she’s much less frightening. Happily, we’re not likely to meet a Malificent in our lives. I find myself terrified of Lady Tremaine because I’ve already met variations on her – and am likely to do so again. Because this is the type of villain who scares me, it’s also the type I write, even if I find immersing myself into that point of view highly distasteful. There’s a scene in my novel Changer in which the Changer has an eye extracted while he is awake and completely conscious of what is going on. That scene had to be in the book and from his point of view. I hated writing it – I wrote around it for as long as possible – but in the end, I dove in. In Five Odd Honors, the third “Breaking the Wall” book, young Flying Claw is methodically tortured. Again, I hated writing this scene, but it had to be there. To write it well, I had to go into the twisted insanity of those for whom this was a sensible and reasonable approach to their goals. I had to get across that, to them, Flying Claw was the unreasonable one. So why write from the villain’s point of view or with an understanding of why they do what they do? Why go into those places? Isn’t the end result enough? Once upon a time, I thought this was the case. I enjoy classic mystery novels. In those, you rarely know who did the murder or why the murder was done until the end of the book. When I wrote my first several published novels – the first two of which were from a first person point of view – the mystery approach was my model. My initial reaction was to disagree. The novel was told from a first person point of view. How could I introduce someone else’s without that introduction seeming forced? Also – thinking about those mysteries again – wouldn’t knowing what “the bad guys” were up to “give away” the plot? Since then, I’ve come to understand what Mike was saying. I’ve noticed how tense I get when a read a novel that provides what the “bad guys” are thinking and planning. David Weber is very good at using this technique. I remember being on the edge of my seat as I read an Honor Harrington novel wherein we the reader knew that the enemy had developed a new surveillance technology that invalidated a bunch of the tactics that Honor and her associates were going to use. How many ships would be destroyed, how many lives lost, before they discovered this and took countermeasures? Would I write Marks of Our Brothers differently today? Probably so. You don’t need to make a villain a point of view character to use their perspective effectively. What’s important is making certain that the reader understands that the villain thinks of himself or herself as following a reasonable, intelligent, and sensible course of action. However, sometimes, dipping into how the other side thinks is valuable, even compelling. So, what sorts of villains scare you? Which do you like to write about? To read about? Are they the same or different? Do you find a Minion of Evil fascinating or clichéd? Where do you wander when darkness is needed? Looking for the Wednesday Wandering? Just page back and hear why I think it’s not possible to make a villain into a hero. Then come and join me and Alan as we take a look at a good man transformed by Shakespeare into a villain. Oh! I’ll be doing a signing at Page One Books on Saturday (November 16th) at 3:00 pm. I hope some of you will be able to drop by. I’ll probably read from Treecat Wars and certainly take questions about just about anything. 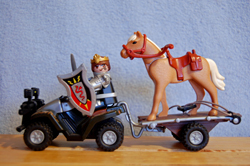 My Kingdom for More Horsepower! ALAN: I only recently read Josephine Tey’s novel. My perception of Richard was coloured by what I learned of him in school, which itself was probably much influenced by Shakespeare. JANE: Shakespeare shouldn’t take all the blame. According to The Riverside Shakespeare, by the time Shakespeare sat down to write his play, he was drawing on a tradition over a hundred years old. Interestingly, one of the works that was most influential on Shakespeare was written by a science fiction writer. 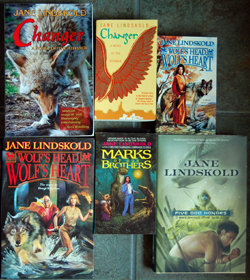 JANE: More was also an early science fiction writer. He wrote Utopia, which not only gave the English language a new word, but provided some very interesting world-building, as More sought to eliminate those qualities (such as valuing gold) that he felt led to a multitude of human failings. Shakespeare clearly drew heavily on More’s History of King Richard the Third. 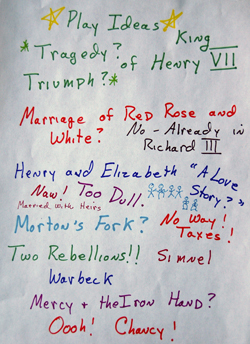 Given More’s later prominence, it’s likely the original work would have survived to continue blackening Richard III. However, Shakespeare’s play with its compelling drama – after the Henry IV, Part One, it was Shakespeare’s most reprinted work – certainly brought More’s version of the king to the masses. ALAN: And it certainly cemented one (possibly biased) view of the events firmly into the popular culture. Once something like that takes root, it’s almost impossible to overturn. Tey’s The Daughter of Time would be a remarkable novel, even if it didn’t provide a treat for history buffs. There are few novels where a normally active protagonist is forced to solve the “case” from a hospital bed. And, of course, since the novel has a contemporary setting (contemporary at the time it was written, that is), Alan Grant faces a very cold case indeed. Since I think Tey’s novel can hold up even if one knows in advance the conclusion the detective will reach, let’s take a look at the historical realities. You’re a Yorkshireman and therefore probably sympathize with Richard III. Why don’t you weigh in? ALAN: In many ways, of course, Richard III was my king, given that he was of the house of York. My history lessons at school certainly emphasised his evil reputation, but I well recall my history teacher going out of his way to tell us that the stories about Richard III were just that – stories, with no real evidence other than hearsay to back them up. Anyway – this is the historical background. But beware, it gets very confusing; there are a plethora of Richards and Edwards involved in it all, so hang onto your hat and take a deep breath. JANE: Hat tied on securely. (I had to get one. I don’t usually wear a hat inside.) Notebook in hand to record Richards and Edwards. Go for it! ALAN: After Henry VI was defeated at the Battle of Tewkesbury, the house of Lancaster was in complete disarray. The Yorkist king Edward IV took the throne. Edward IV was the eldest son of an earlier Richard, the third Duke of York. It was this earlier Richard who had been Lord Protector of England during one of Henry VI’s periods of catatonia. However this earlier Richard died in battle against Henry VI, which is why his son Edward IV took the throne after the Yorkist armies destroyed the house of Lancaster. ALAN: Edward IV had a younger brother Richard, named after his father. This Richard’s official title was Duke of Gloucester. I’m not sure if he ever officially inherited the title Duke of York, (though he was definitely known as Richard of York; note the absence of the word Duke in that phrase). In terms of power and influence, he was certainly Duke of York in all but name because Edward IV appointed him to head the Council of the North, thus giving Richard control over the entire north of England. The city of York became Richard’s power base. By all accounts, Richard administered his mini-realm very well indeed and he was a popular figure, well liked and respected. JANE: (still scribbling): Okay. Richard, son of Richard, brother of Edward. Duke of Gloucester. Also known as Richard of York, even though he wasn’t the duke. You know… A lot of problems would be solved if the English kings were more creative – or at least more consistent – in their names. ALAN: (taking a deep breath): When Edward IV died, his son and heir, also called Edward, became (in theory at least) King Edward V. However Edward V was only twelve years old. His Uncle Richard, Duke of Gloucester, leader of the Council of the North, was appointed Lord Protector of the realm until the child would be old enough to inherit the throne. The young Edward and his nine-year-old brother Richard (yes, another Richard who also briefly held the title Duke of York) were held in protective custody in the Tower of London. JANE: Arrggh… Okay. Edward, son of Richard, names his sons Edward and Richard… Richard, son of Richard, uncle of Richard, Duke of Gloucester, but not Duke of York (that’s nephew Richard and father Richard) gets the title Lord Protector. No wonder Edward V and Duke Richard became famous as the Princes in the Tower… It’s a lot easier to remember, even if one of them was apparently a king, not a prince, and the other was a duke, as well as being a prince. ALAN: By George, you’ve got it! Anyway, after some murky machinations, probably at Richard’s instigation, the church deemed Edward IV’s marriage to have been invalid. The young princes, Edward and Richard, were declared bastards and were therefore unable to inherit the throne. That meant their Uncle Richard (Edward IV’s brother) was clearly the legitimate king, and so he was crowned Richard III on the 6th July 1483. The young princes were never seen again. JANE: Ah… Although Shakespeare leaves no doubt – and indeed has a heart-breaking scene in his play built around their deaths – there is some question as to exactly who was responsible for their murders. ALAN: And that’s where Richard’s evil reputation comes from, of course. Even though the times were cruel and hard, the murder of two young and innocent children was seen as unnecessarily cruel. It’s easy to blame Richard for the deaths. Had the children lived, they could have become the focus of a rebellion against Richard when they grew up. There were plenty of historical precedents. So he certainly had both the motive and the opportunity. But did he do it? I like to think not, though again the evidence is only circumstantial. When he was leader of the Council of the North, he proved himself to be an honourable man. Would he really have changed his character that much after he inherited the throne? But it’s all moot, because Richard was king for only two years. Henry Tudor, whose mother was the illegitimate great-granddaughter of John of Gaunt, rebelled against Richard and defeated him at the Battle of Bosworth. In Shakespeare’s play, Richard III is slain by Richmond who, although not yet crowned Henry VII, proclaims that: “We will unite the White Rose and the Red.” The end of Richard III is not only the end of a reign, but of a long and bloody war. ALAN: After his death at the Battle of Bosworth, Richard was buried and lost to history until, in 2013, his body was found during the excavation of what is now a car park in the city of Leicester. JANE: Alan, I think all these princes who are really kings and dukes and the plethora of Edwards and Richards is making you lose your mind. I’m almost afraid to mention it, but you did promise to inform us about Richard III’s contribution to physics. ALAN: Ah yes – and this time I’m not making it up. Generations of British children have been taught the order of the colours of the spectrum of visible light by using the initial letters of the mnemonic: Richard Of York Gave Battle In Vain (Red, Orange, Yellow, Green, Blue, Indigo, Violet). JANE: American children – at least this one – learned Roy G. Biv. Your version is more fun. Going back to where we started, Josephine Tey is not the only artist or historian to try to clear Richard III’s reputation. I have cassette tape called The Faerie Shaman by Gwydion which contains “The Ballad of Richard III.” In addition to providing history set to dulcimer music – an interesting thing in itself – the refrain provides the provocative twist that, although Henry of Richmond is commonly thought of as Welsh, he could make as much a claim to being French. Perhaps we can touch upon that next time, as we look at King Henry VII. Life is just too short to spend with people you don’t like or care about. I find this is true when reading, as well as in real life. Maybe it’s even more true when reading than in real life. That came home to me last week when, with great reluctance, I gave up on Jonathan Stroud’s bestselling “Bartimaeus” trilogy. The books had been recommended to me by Yvonne, the same friend who had recommended Maggie Stiefvater’s The Raven Boys, which I’d really liked, so I started with cheerful anticipation. The opening was pretty good: light, sardonic narration from the point of view of the djinn for whom the series is named. Jim, passing through the kitchen where I was listening as I worked on preparing dinner, commented: “That sounds good. I may need to listen next.” By the end of the book, he’d changed his mind. I’m more stubborn. The writing was good and strong. The characters were well-developed. The plots… Well, a bit predictable, but that alone won’t stop me. I finished book one (The Amulet of Samarkand) and started book two (The Golem’s Eye). Two years had passed in the lives of the characters. Despite the tremendously dramatic and eye-opening events at the end of book one, the protagonist, Nathaniel, had not changed at all. No. He had. All his worst traits were intensified. Many of his better traits had vanished. The book introduced a new character, Kitty, for whom I initially had some hopes, since she was involved in a rebellion against the system that had created creeps like Nathaniel. Since I can’t do so without huge amounts of spoilers, I won’t go into all the reasons that I gave up on Kitty and her allies as well. Suffice to say, I quit. The Amulet of Sammarkand hadn’t given me a lot of hope that anyone would change in an interesting or provocative fashion in the course of The Golem’s Eye. Since then, I’ve been trying to figure out why I couldn’t finish. After all, some of my favorite characters in fantasy fiction would be classified as anti-heroes rather than heroes. Corwin of Amber and his brothers (with the possible exception of Julian) are definitely anti-heroes. Elric of Melnibone. Definitely an anti-hero. Actually, most of Zelazny and Moorcock’s protagonists are anti-heroes, rather than heroes. Poul Andersen wrote many a hero, but my favorite of his characters is Nicholas van Rijn, “The Man who Counts” – a definite anti-hero. Even many of my own characters are closer to anti-heroes than heroes. That’s when it hit me. Draco Malfoy is neither a hero or an anti-hero. He’s a villain, pure and simple – and that’s how J.K. Rowlings casts him in her novels. The definitions of “villain” are many and various. Let me make myself clear on the sort of villain I mean – a definition that leaves out abstracts like “evil” and focuses on qualities. Villains care more about their own gain than what will happen to anyone else around them. They do serious harm not to be abstractly “evil,” but because the end result will benefit themselves. They have allies and associates, but rarely friends, (because a friend is someone whose benefit or happiness is important). Even when their acts may seem virtuous, under the surface, a villain’s acts ultimately benefit the doer, not those ostensibly done for. Let’s go back to Draco Malfoy. He has some family loyalty, but that’s about his only redeeming feature. He has allies and lackeys, but not friends. He’s a coward, because his own skin matters more than anyone else’s. He’s a cheat, because his own gain matters more than honesty. He’s alternately a bully and a sycophant. A book told from the villain’s point of view simply doesn’t interest me. I loved John Gardner’s novel Grendel, which retells the Beowulf Saga from the point of view of the monster but, although Grendel remains a monster in that he’s big and slimy and carnivorous and all, there’s no calculated malice to him. In some ways, he’s almost an innocent. He wants to eat the nice squishy humans and can’t understand why they’re so rough on him. It’s Beowulf who becomes the villain in this variation of the tale. He’s relentless, tracking down the monster, even after the monster has retreated. Would I like to invite Grendel to dinner? No. Am I sympathetic enough to him that I would like to be his dinner? Again, no. But I found that John Gardner made me understand his point of view. This was not the case with Nathaniel. Like Draco Malfoy, Nathaniel is so invested in the abusive system in which he lives that he ignores how flawed it is – even when, as in the events at the close of The Amulet of Samarkand, his own trials should have awakened him to its flaws. He thrives on a system of slavery and torture. He lies and weasels to justify getting what he wants. He has no friends, only more or less reliable allies. Maybe Nathaniel changed his mind by the end of the series but, as I said at the start, life is just too short to spend with people you don’t like or care about. I’ll offer this as a start. How have villains changed? They haven’t. What has changed is that some writers or creators of television series or movies think that by making a villain a protagonist they’re doing something daring and creative. Why are anti-heroes popular? As we discussed earlier, they’ve always been popular, in part because they push limits but still get the job done. What’s different is that some people don’t seem to see the difference between an anti-hero and a villain. Even when you make a villain a protagonist, that doesn’t make the villain a hero, except in the most facile linguistic sense. Why the change? (Or, I’ll add, the new fascination with villains?) How does it relate to current events? There I have no idea. I’d love to hear your thoughts on the matter. Looking for the Wednesday Wandering? Page back one and learn why I don’t think authors are important. Well… There’s a bit more to it than that! Then come back and join me and Alan as we continue our cheerful adventure through the realms of the Henries. JANE: Last time you mentioned that King Henry VI was insane. Is that based in fact or just bad press? ALAN: Oh it’s definitely factual, and well documented. Henry suffered from bouts of depression and instability throughout his reign. In 1453, following the loss of Bordeaux to the French, Henry slipped into a depression so profound that he completely lost touch with his surroundings. He even failed to respond to the birth of his own son! During this period, the Duke of York was appointed Lord Protector of England, which was definitely an indirect cause of the Wars of the Roses, since it gave York much political influence. Also, during the Battle of St Albans, which secured Henry’s release from captivity and marked the start of his second reign, he was recorded as singing and laughing and generally paying no attention whatsoever to what was going on all around him! JANE: Ouch! Sounds like Nero fiddling while Rome burned, but with a more factual basis. One of the things that I’ve really enjoyed about these Tangents on the Henries is figuring out where other historical events fit into the puzzle. I was thrilled to realize that Henry VI is the “King Henry” whose depredations caused Joan of Arc to rise to glory. ALAN: Ah, poor Joan. At the age of 12 she saw a vision of Saint Michael, Saint Catherine, and Saint Margaret. They urged her to drive the English out of France. She later said that she cried when they left her, because they were so beautiful. Through a combination of family influence and a lucky guess (she predicted the defeat of a French army at Orléans), she managed to get an audience with the French king. She persuaded him to allow her to travel with the army and to wear the equipment of a knight. She had a huge effect on the morale of the French, inspiring them with her religious fervour and turning the tide of the war. JANE: And also, incidentally, inspiring a lot of literature. Perhaps the most famous piece is George Bernard Shaw’s Saint Joan. 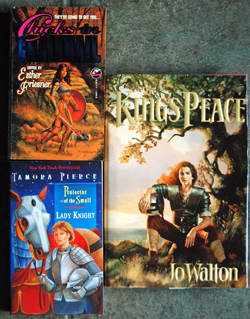 I think in some sense the popular fantasy motif of the lady knight – dealt with by writers as diverse as Tamora Pierce and Jo Walton – owes a lot to Joan of Arc. ALAN: And, going perhaps from the sublime to the ridiculous, maybe she was also the inspiration behind Esther Friesner’s delightfully titled anthology, Chicks in Chainmail. JANE: That’s a bizarrely wonderful suggestion… But back to Joan. ALAN: Joan was eventually captured by the English in 1430. Her enormous influence on the French forces was of great concern to the English and they quickly organised a show trial to get her out of the picture. Because of the religious inspiration of her campaign, they tried her for heresy. Rather to their surprise, she presented a subtle and cleverly argued defence, skilfully avoiding several theological traps that the prosecution laid for her. Some of the dialogue in George Bernard Shaw’s play Saint Joan is actually taken verbatim from the transcript of her trial. Shaw felt that he was unable to improve on the perfection of her own words. JANE: I didn’t know that about Shaw’s using the transcript. That’s wonderful! ALAN: But of course the verdict was never in doubt. Joan was found guilty and condemned to death. She was burned at the stake on 30th May 1431. After the fire died down, the English raked back the ashes to expose her charred corpse so that nobody could claim that she had escaped her fate. Then, so as to prevent the collection of holy relics, they burned her body twice more, reducing it to ashes which they scattered in the river Seine from a bridge with the rather odd name of Mathilda. JANE: As in the English empress we discussed a few weeks ago? What a peculiar coincidence! Shakespeare did not treat Joan – referred to as Joan de Pucelle in my text – well. ALAN: Oh, I don’t know. She has her moment in the sun… Joan La Pucelle (in my texts) is highly praised by the Dauphin, the French crown prince. Astrea was the goddess of justice and innocence who eventually ascended to heaven where she lived among the stars in the constellation of Virgo. This is somewhat ironic given that in Greek legend, Rhodopis was an Egyptian prostitute who used her immoral earnings to build the Pyramid of Menkure. She must have been enormously talented between the sheets to have funded such a project! This is hardly a tactful reference to make about the virginal Joan, so maybe Shakespeare was indeed deliberately praising her with faint (or perhaps not so faint) damns by putting these words in the Dauphin’s mouth. JANE: I really don’t think the mention of Rhodopis is “ironic.” I think it’s meant to show that the Dauphin’s admiration is as much for her beauty and sexuality as for her saintly qualities. After the victory at Orleance, the Dolphin proclaims Joan France’s saint. However, England’s Talbot – the character with whom Shakespeare’s audience would have sympathized – refers to her as “that witch, that damned sorceress,” also as “Foul fiend of France, and hag of all despite,/ Encompass’d with thy lustful paramours!” The insults just keep piling up, each more elaborate than the last. Later in the play, Joan calls upon supernatural forces that are far from saintly, including the “Monarch of the North” – a title for the Devil. In other words, far from the subtle and intelligent heroine of history, Shakespeare leaves no doubt at all the France’s champion is a witch of the blackest order. Trying to forestall her execution, Joan first claims saintly powers. When this doesn’t work, she switches tactics, claiming to be pregnant. (A pregnant woman was often freed from execution.) It’s one of Shakespeare’s ugliest bits of character assassination. ALAN: Ugly, yes. But also quite understandable from the English point of view. Every side in every war vilifies the opposing army – and the English are particularly prone to doing it. Shakespeare himself seemed really to enjoy piling insult upon insult to all and sundry. He makes villains out of the nicest people. ALAN: That’s not as farfetched as it might seem at first glance. Henry had a very busy post mortem career. Did you know that he was almost canonized as a saint? JANE: I had no idea… Do tell! ALAN: A lot of posthumous miracles were attributed to the king. He raised a plague victim from the dead as she was being sewn into her shroud, and he intervened in the execution by hanging of a man unjustly accused of sheep stealing. Apparently, he placed his hand between the rope and the man’s neck, thus keeping him alive. He was long regarded informally as a saint, and eventually formal canonisation proceedings were initiated, but unfortunately Henry VIII’s break with the Roman church put a stop to the process. You know, I can’t resist a tangent off our tangent. How do you feel about discussing a king whose role in Shakespeare’s drama was at the heart of a superlative mystery novel and was featured in a “filk” song? ALAN: Oh yes! I think I know who you mean. He’s the king whose death made an enormous contribution to physics. JANE: I’m going to wait to next time to ask you just how that one works! This past week, I finished a novel that had been separately recommended to me by two friends. (Thank you, Sally. Thank you, Yvonne.) Because these days my time to sit and read has been limited, I’ve been binging on audio books. When I found my library had the book in question as an audio book, I downloaded the MP3 file. Funny statement, I suppose, coming from an author, but on some level I think it’s true. On other levels, it’s completely untrue. Before I get into why, let me tell you the name of the author of The Raven Boys. It’s Maggie Stiefvater. The book is the first in “The Raven Cycle” but I can assure you that this novel, at least, stands on its own. I’ll be reading the next one, too. Oh, boy… If that’s why people look at photographs of authors, about the only thing you’re going to learn from photos of this author is that somewhere along the way she became pretty darn camera shy. (I suspect that happened about age eight, when I started wearing glasses and suffered a major crisis of self-image.) Anyhow, even the best, most recent photos are just frozen images of a fragment of a moment in time. I loved my professors of Modern Lit at Fordham. The enthusiasm they instilled in me is largely the reason I went on to graduate school. 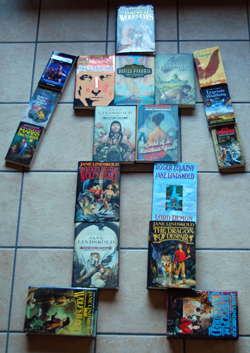 However, we read a lot of author / poet biography, along with the actual stories and poems. Sometimes, even back then, I wanted to say “Can’t we leave the lives of Yeats and Eliot and Auden and all the rest out of it? If Joyce’s work is only interesting because of the veiled autobiography in it, well then, why don’t we just read a biography of him without wading through the padding?” I’m not saying that cultural context for a piece isn’t important. Far from it! But surely the author shouldn’t become more important than the work. So when is the author important? I think the author is most important if you want to find other works by that author. As I have mentioned elsewhere, I never realized that the same guy wrote The Chronicles of Amber, which I loved, and Lord of Light, ditto, until I finally moved into an apartment big enough to hold bookshelves in which I could arrange my fiction in alphabetical order. When I did, I started in on the other books by that author – one Roger Zelazny – as quickly as I could find them. I discovered I’d already read a lot of them. But, well, the author hadn’t been important, just the story. I’m not going to pretend that I’m not thrilled that there are readers of my fiction who have liked what I write well enough to take the time to read the non-fiction I write in these weekly wanderings. Actually, I’m so pleased that I’m a little sorry I can’t live up to my characters. I’ve run with wolves, but I’m not Firekeeper. I’ve commanded a spaceship, but only in a game. I’ve done archeology, but never found that buried pyramid. I am a myth, but not a god. What I am is a storyteller. And one thing that’s made me pretty sure of is that it’s the stories that are important, not the author. I’ve had fun talking with authors about their work. A couple weeks ago, I shared with you my enthusiasm about finally getting to ask Tim Powers questions about the sources and allusions in various of his novels. But I don’t think I asked Tim anything about Tim. So, when do you find the author important? Would you rather have a discussion about a book with the author present or absent? If you could ask this author a question, what would it be?